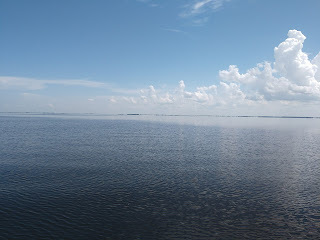 Lake Okeechobee, like glass,Number One Son marveled. Lake Okeechobee is the needle's eye in our state of Florida, measuring 36 miles by 29 miles in size! Not some little lake! 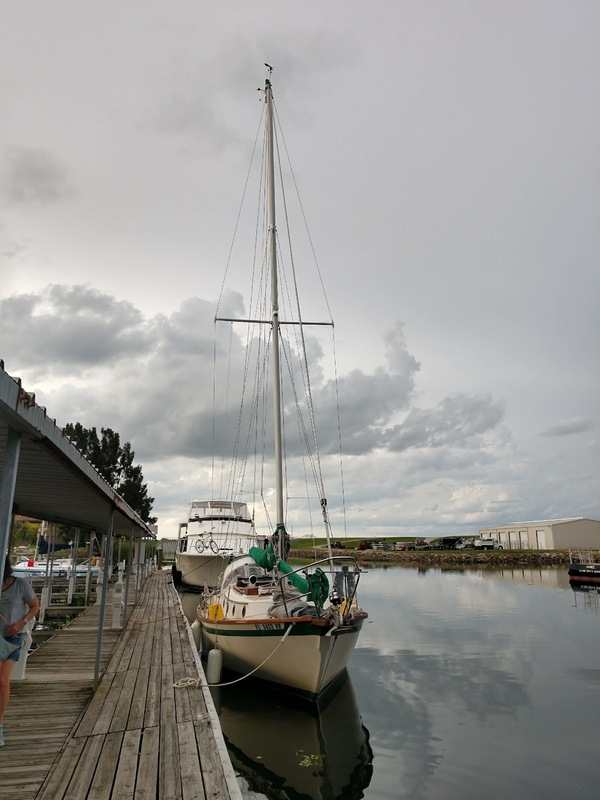 Just in below: arrived safe in Clewiston! 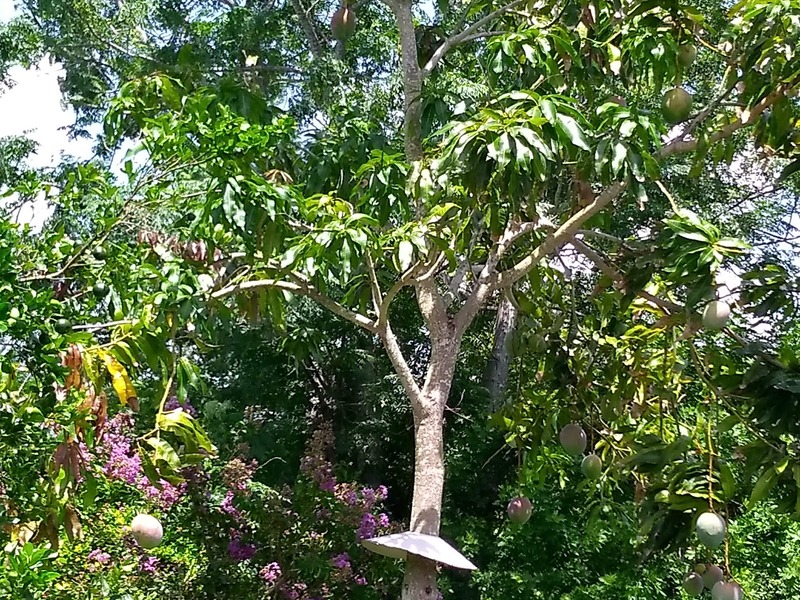 This is pic of our abundant Mango tree that I started from the pit from a store bought Mango many years ago! The baffle on it is to keep squirrels and possums from eating them, and it is working! 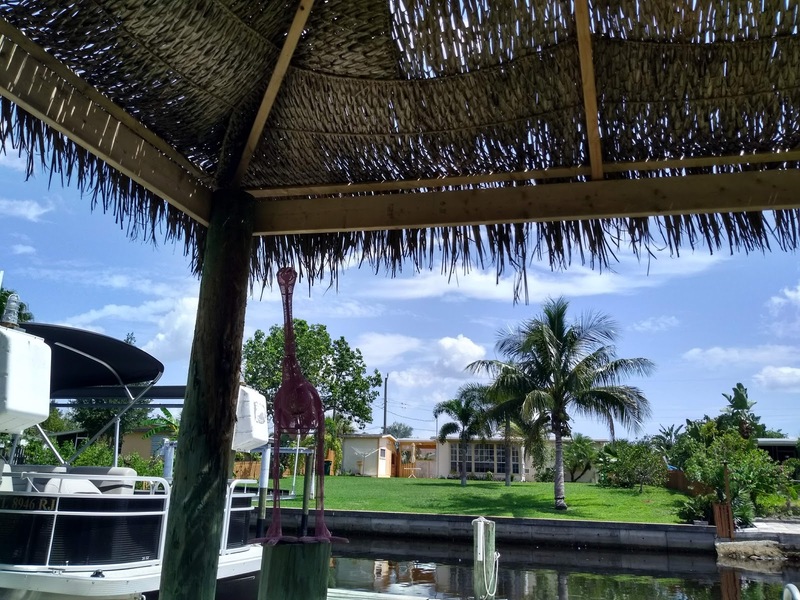 My view from catching shade under the tiki hut below. 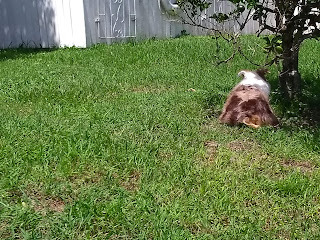 Aussie catching his own shade under the honey tangerine tree below. Today I even took his tunnel out from his agility set to try to wear him out with all his pent up energy. I know it was still very hot, but between me washing down the tiki hut chairs and the ceiling in the lanai he and I managed to get quite wet and cooled off too! Besides we both had cool drinks to imbibe, Aussie's preferred choice is boiled/spring or tap water and mine is club soda with a little a few squeezes of lime. Hubby did yard work too with his hedge trimmer, cutting back the vines of Jasmine and Alamandas. Consequently, I did not pace myself right, and before dinner my back went out making it difficult to move. Thankfully, last night Hubby and I had made homemade chicken wings with a couple of extra baked potatoes so we had plenty of leftovers for tonight, all that had to be heated anew were frozen mixed veggies! And Hubby kindly served me again in bed. But it was a fairly productive day, since besides the other things that I mentioned I did weed the gardens a bit too! Accomplishing things has always been my need to feel less of a burden, and more useful, ya know? Gardening was my fun hobby at one time, and I had planted the gardens originally all around our home. Hubby mostly maintains them these days, although he hates weeding, but don't we all? Another one of those life's necessities, hmm?